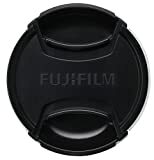 The FLCP-43 is an original Fujifilm Lens cap, suitable for lenses with a 43mm filter size. This entry was posted in Discount Photography and tagged 43 mm, Black, FLCP43, Fujifilm, lens, XF by Ball Photo. Bookmark the permalink.